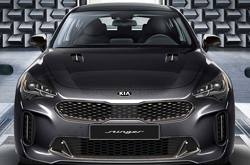 The 2019 model year welcomes back the Stinger-a great-looking five-door compact premium fastback from Kia Motors-for its second model year. 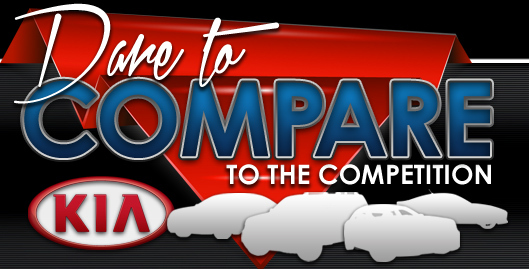 There are a lot of changes to make it a more worthwhile choice in the luxury small car market. Blind-spot monitoring and rear cross-traffic alert are now standard on all trims. A mechanical differential is now standard on GT model-that is, if it comes with a rear-wheel-drive system. The Premium and GT1 trims have a full suite of safety systems. Finally, the GT2 trim receives a surround-view camera and heated rear seats. The 2019 Kia Stinger is split into 2.0L, Premium, GT, GT1, and GT2. The vehicle has two rows of seats to accommodate up to five people. Passenger volume is measured at 93.8 cubic feet, and cargo volume is measured at 23.3 cubic feet. Standard features include leather seat trim, heated front seating that consists of a 12-way power driver's seat with 4-way power lumbar support an 8-way power front passenger seat with 2-way power lumbar support, a leather-wrapped steering wheel, dual-zone automatic climate control, hands-free wireless technology, a smart key system with push-button engine start, an auto-dimming rearview mirror, a 3.5-inch TFT LCD display, six-speaker audio, the UVO eServices infotainment integration system, Android Auto and Apple CarPlay for smartphone integration, a USB port and an auxiliary audio jack for hooking up portable media devices, dual charging-only USB ports, and a 7-inch touchscreen. Upgrade to the GT to get a sport steering wheel and nine-speaker audio (instead of six speakers). Unique to the GT2 are Nappa leather seat trim, 16-way power adjustability with 4-way power air-cell lumbar adjustment and 2-way side bolster on the driver's seat, 12-way power adjustability with 4-way power lumbar support on the front passenger seat, rear-seat heating ability, and a head-up display. Front-seat ventilation, a driver-seat memory system, wireless phone charging, a larger 7-inch TFT color LCD display (in place of the 3.5-inch), a garage-door opener, a voice-command navigation system, a 15-speaker 720-watt Harman Kardon audio system, and an 8-inch touchscreen are added on the Premium, GT1, and GT2 trims. 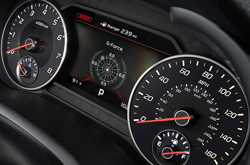 The base-level 2.0L trim of the 2019 Kia Stinger is named after its twin-scroll turbocharged 2.0-liter inline 4-cylinder (I4) engine, which supplies 255 horsepower and 260 lb-ft of torque. This same engine also goes on Premium trim. The other three trims are powered by a twin-turbocharged 3.3-liter V6, which supplies 365 horsepower and 376 lb-ft of torque. Both engines have automatic stop/start technology to eliminate idling, and they are both hitched to an 8-speed automatic transmission. Although rear-wheel drive is standard on the Stinger, Kia offers all-wheel drive on any trim to boost traction ability. Fuel economy peaks at 22 mpg in the city and 29 mpg on the highway with the I4 engine. What are the Kia Stinger Safety Features? 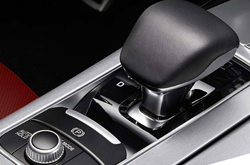 The 2019 Kia Stinger provides a driver's knee airbag, dual front impact airbags, dual side impact airbags, and dual side curtain airbags for restraint and cushioning in the event of a collision. Also standard are electronic stability control, traction control, a rearview camera with dynamic guidelines, four-wheel anti-lock disc brakes, brake fade compensation, cornering brake control, hill start assist control, blind spot collision warning, front and rear parking distance warning, lane change assist, and an anti-theft system. The Premium, GT1, and GT2 also get rear cross-traffic collision warning, forward collision warning, driver attention warning, forward collision avoidance assist with pedestrian detection, smart cruise control, stop-and-go technology, lane departure warning, and lane keep assist. Only the GT2 gets the surround-view camera, which supplants rearview one. Call us today to set up an appointment to test-drive the 2019 Kia Stinger!